While many people dream of moving to Hawaii, the island life comes at a cost since it’s one of the states with the highest taxes in the US. Many years ago, I was having a conversation with a friend of mine who lives in the United States. During that conversation, he mentioned that a lot of people he knew were moving to Florida – a state with no income tax – from where he lived in Illinois. Similarly, he knew of a few others who moved to Nevada – another tax-free state – from California, which has one of the highest income tax rates in the country. In fact, many people in the US who live in high-tax states have begun to move to low- or no-tax states. I understand wanting to lower your tax burden, but personally, I don’t really understand the strategy of moving within the US to a state with slightly lower taxes. In my opinion, if you can make the move from Illinois to Florida, then surely you could go to Puerto Rico – which has much better tax incentives. And, if you can move all the way to Puerto Rico, you can certainly head to a tax-friendly country like Panama or Dominica. So, if you’re already leaving your family and friends for warmer weather and lower taxes, why stay in the US? If you live in the US, state income tax is only a small part of the equation since you still need to worry about paying federal taxes, too. And, on top of that, the tax reforms enacted under President Trump make it even more difficult to move overseas and take advantage of tax reductions like Foreign Earned Income Exclusion. 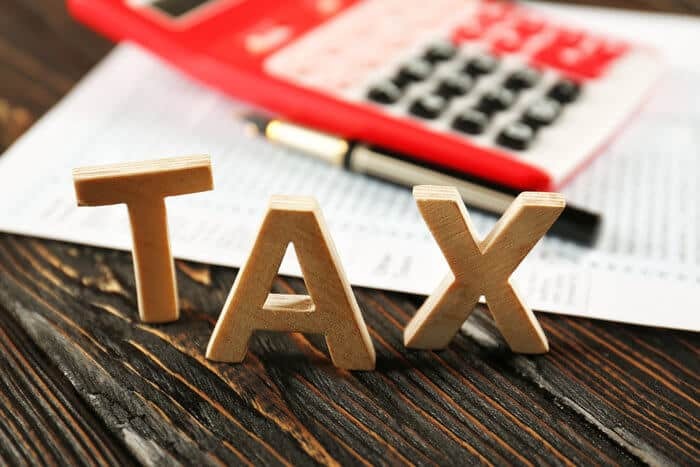 Regardless, if you’re a US citizen living in a high-tax state, then you need to get out as soon as you can – even if it means temporarily moving to a low-tax state. Read on to find out whether you live in a state where you’re paying way too much in income tax. Before we delve into the states with the highest taxes, let’s set a couple of terms. First, when we talk about the states with the highest taxes, we’re talking about the states with the highest income taxes – not sales tax or any other type of tax. So, while some states with no taxes might have a higher sales tax or higher gas tax to make up for lost income tax revenue, that’s not what we’re focused on in this article. That brings me to my second point – most of this article is meant for people earning six figures or more. If you’re making more than $500,000 per year, then paying a few more dollars to fill up your gas tank likely won’t phase you, which is why we’re not too concerned about other types of taxes. Income tax, however, is another story. If you’re a business owner or investor who makes $1 million or more per year, then you’re likely going to be paying the highest income tax rate possible. You’re also not going to be getting that money’s worth in services from the state. While some states with the highest taxes have good social programs, you’re not going to benefit much from them – you’re just footing the bill. That’s why many high-earners – myself included – look outside of the US for a tax-free home. In addition to what you pay at the state level, you’re also giving a sizable chunk of your income to the IRS. If you live in one of these ten states, then you’re probably paying far too much in taxes. If you live in California, then you’re paying the highest income tax rate in the entire United States. There’s plenty to enjoy about living in California. Being able to spend a morning skiing in the mountains and then hitting the beach by sunset doesn’t sound too bad, does it? However, living in the Golden State comes at a cost – a whopping 13.3% of your income. That’s the most you’ll pay in any US state. While you may pay a bit less if you’re in the upper six figures, it’s still around 12.3% of your total income. California’s Franchise Tax Board is also possibly the most aggressive tax agency in the world. I’ve personally had a few run-ins with the Franchise Tax Board. Despite paying my taxes on time and in full, I’ve been double-charged by them, and I had to spend weeks fighting to prove that I did indeed pay my taxes. California might be an enjoyable place to live for some, but you’ll pay through the nose if you’re a resident of the Golden State. 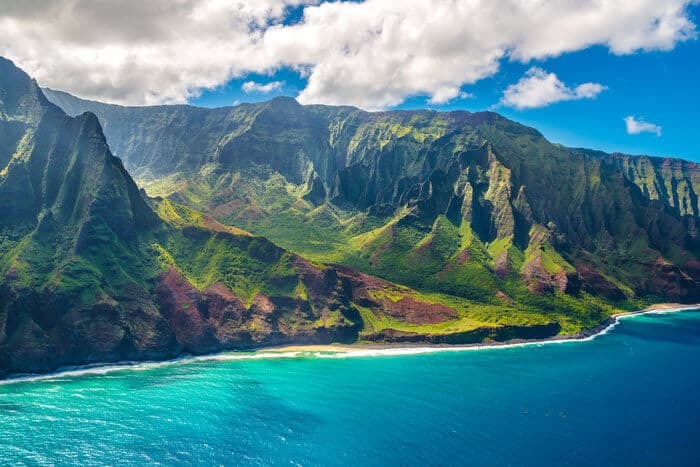 Hawaii is one of the most popular tourist destinations in the US for good reason. Between gorgeous beaches and near-perfect weather, it’s an ideal vacation spot. However, while Hawaii is certainly a great vacation destination, you probably don’t want to live there since you’d have to pay 11% of your income to the state government. Unlike other popular tourist destinations like the Bahamas or St. Kitts, Hawaii charges its residents a substantial income tax. It’s also one of the few places where the cost of living affects everyone – even if you’re making $1 million or more. While you can easily afford to live there if you’re earning six or seven figures, paying $6 for a four-pack of toilet paper might make you wonder if your hard-earned money could be better spent elsewhere. The astronomical cost of living in Hawaii is also driving out middle-class professionals like teachers, which could cause problems for everyone in the state – regardless of how much you make. If you’re dreaming of the island life, I’d skip Hawaii and get a tax-free second residency in Vanuatu. If you love the outdoors, then chances are you’ve thought of moving to Oregon. State and National Parks are a dime a dozen, and even if you live in a city, you can ride your bike just about everywhere. Unfortunately, however, it ranks number three among the states with the highest taxes since top earners pay 9.9% of their annual income to the state. 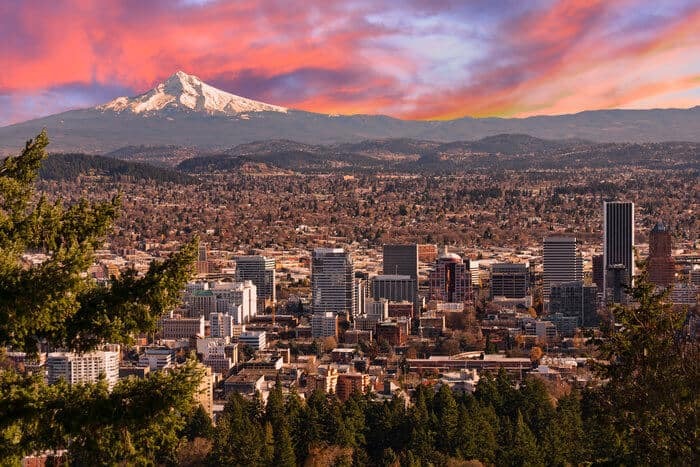 While Oregon’s progressiveness can be appealing when it comes to issues like renewable energy, it also means that as a high-income individual, you end up footing the bill for these progressive policies. Oregon has also begun to more aggressively pursue offshore income. Although the state is primarily targeting large multinational corporations now, there’s a chance that this renewed vigor could extend to your offshore strategy, too. Even if you don’t plan on moving out of the US straightaway, I’d get out of Oregon soon if you’re trying to go offshore. If you make more than $262,000 per year in Minnesota, then you’ll owe the state nearly a tenth of your income. In most aspects, Minnesota is decidedly middle-of-the-road. It doesn’t have the curb appeal of California or Hawaii, but it’s a relatively pleasant state with a growing economy. However, while the Land of 10,000 Lakes might be a nice place to visit in the summer, its income tax rate of 9.85% means that you probably don’t want to actually live there. 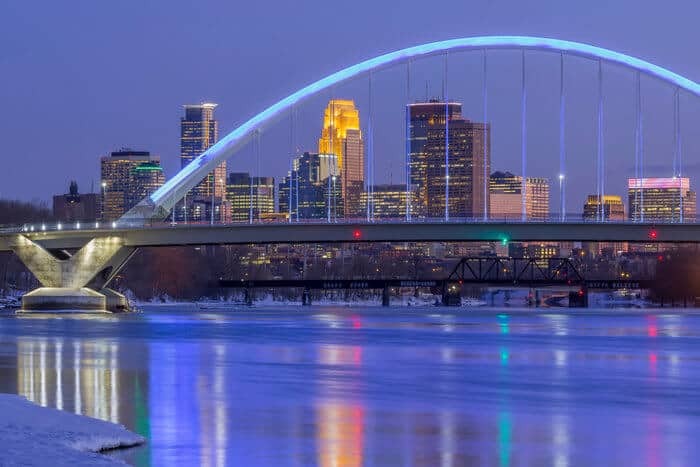 Minnesota’s income tax has been steadily rising for years, and it’s now the state with the fourth-highest income tax rate in the country. The state’s tax future doesn’t look too promising, either. Governor-elect Tim Walz has made his willingness to raise taxes known. He’s already proposed an increase to the state’s gas tax, and he’s noted that he would be willing to raise other taxes to pay for different programs that he’s proposed. If I were a resident of Minnesota, I’d start looking for a new home before my taxes rise even higher. Of all of the states on this list, Iowa seems to be a bit of an outlier. Unlike Oregon or California, it’s not excruciatingly liberal. In fact, the state tends to lean to the center-right politically. Yet it still collects 8.98% of many of its residents’ income in taxes every year. In fact, you only need to be making $70,000 per year to fall into the state’s highest tax bracket. Property taxes are high, too. Fortunately for Iowans, some good news is on the horizon. The state is cutting its abnormally high income tax over the next few years, so even the state’s wealthiest citizens might see some relief in the near future. New Jersey’s income tax rate sits at 8.97% for the state’s highest earners. However, while it only ranks sixth on the list of states with the highest taxes, I’d put it in the top three high-tax states to avoid as much as possible. 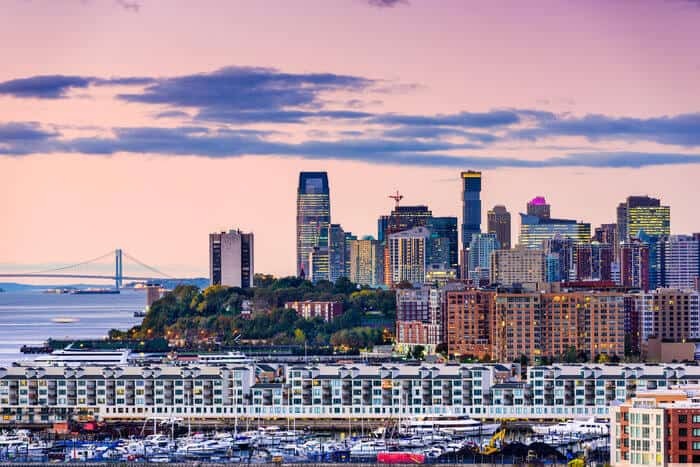 Property taxes – which also disproportionately impact high-income individuals – in the state are among the highest in the country, so if you own a home in New Jersey, you’re probably already paying more than your fair share of taxes. Additionally, despite its high taxes, the State of New Jersey still isn’t fiscally sound. The state has been wrangling with budget deficits for over a decade, and its problems have only continued to grow. This means that tax increases are likely on the horizon, so if you’re living in New Jersey, then you may want to start packing your bags. New Jersey has one of the highest income tax rates in the country – yet it still suffers from chronic budget deficits. Vermont gave us Bernie Sanders – one of the most vocal tax enthusiasts in the country – so it’s only fitting that it has one of the highest income tax rates in the country. If you live in Vermont and make more than $413,350 per year, then you’re giving 8.95% of your income to the state government. Vermont’s tax rates also may rise in the near future – an unsurprising fact given its representatives. The state slightly lowered its residents’ income tax burden by 0.2-0.3% this year, but as potential budget shortfalls loom, the state may end up raising taxes – and, as always, high-income individuals will likely bear the brunt of this increase. If you live in the capital of the United States, then you’re paying more income tax than the rest of the country. In fact, the District of Columbia taxes its top earners at a rate of 8.95%, and even if you’re earning as little as $60,000 per year, you still need to shell out 8.5% of your income. As the capital of the US, the District of Columbia needs the infrastructure to support the thousands of commuters and tourists that visit each day – and it needs to impress officials from other countries. It’s no wonder, then, why Washington, DC, needs as much tax revenue as possible to survive. It’s also incredibly dependent on high-income taxpayers to survive. Contributions from individuals earning over $100,000 per year make up 75% of the District of Columbia’s total income tax revenue. So, if you’re a wealthy individual living in DC, don’t expect any tax relief coming your way in the near future. If you’re a fan of big cities like I am, then chances are you’ve thought of moving to New York City. However, you may think twice after seeing how much tax you actually have to pay to live there. The State of New York takes 8.82% of its wealthiest residents’ income, and that’s not including city-imposed income taxes in the Big Apple. New York’s Department of Taxation and Finance is also difficult to deal with. 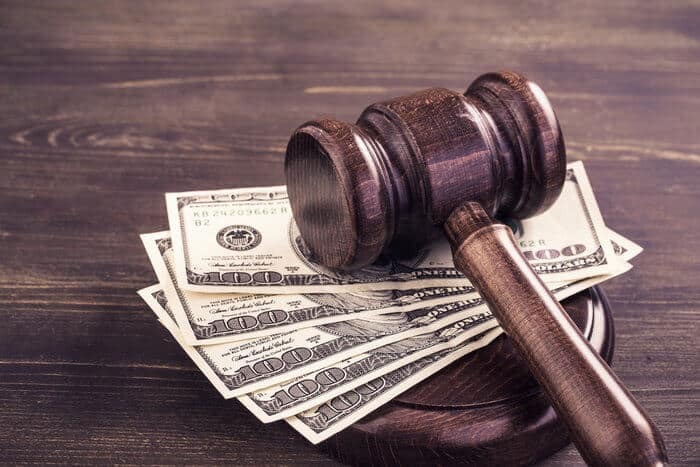 Like California’s infamous Franchise Tax Board, the State of New York is unrelenting when it decides to target you or your business – even if you already paid your dues. The only saving grace of New York’s tax system is that the 8.82% rate only applies to individuals earning $2.1 million or more. If you’re making between $321,050 and $2 million, then you only need to pay 6.85%. That’s still more than you should be paying, but it’s better than the other places on this list. Like Iowa, Wisconsin’s place on the list of states with the highest taxes comes as a bit of a surprise. Although the state isn’t firmly conservative, you would think that the home of Paul Ryan – a major proponent of cutting income taxes – wouldn’t fall on this list. However, the State of Wisconsin taxes its wealthiest residents at a rate of 7.65% of their income per year. The future of taxes in Wisconsin also isn’t so promising. While the state’s newly-elected governor made a handful of last-minute campaign promises about not raising any taxes, whether or not his word will hold remains unclear – especially since he’ll need to secure funding for his other campaign promises. Now that you know the states with the highest taxes, you may be wondering how to avoid them – or how to get out if you live in one. Unlike federal taxes, you can’t claim exemptions if you earn income outside of the state, so you’ll ultimately need to move. If you’re paying too much tax in a state like Oregon, then you’ll need to move to lower your tax bill. However, I don’t recommend simply moving to another nearby state and calling it good. Moving from California to Nevada might help you save a few bucks, but you’re still shelling out your hard-earned income to Uncle Sam on an annual basis. 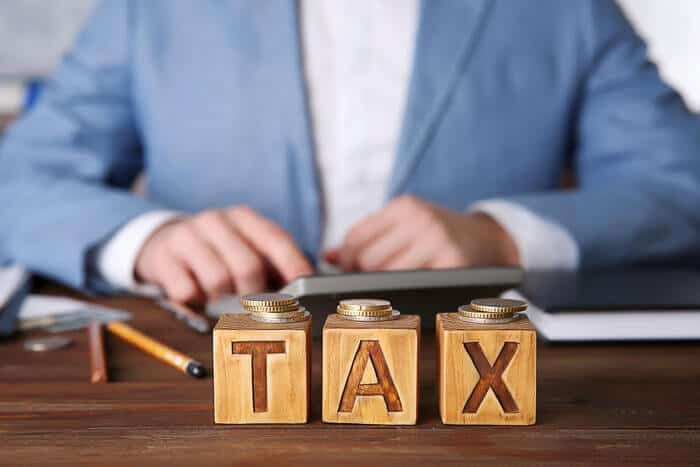 To get substantial tax reductions, you’ll need to consider strategies like moving to another country to claim the Foreign Earned Income Exemption and legally use offshore companies to lower your US tax bill. For some entrepreneurs, moving to Puerto Rico can also be an option… but beware promoters who offer it as a cure-all from US taxes. If you’re in a high-tax state like California or New York, then you should start planning your move as soon as you can. However, it’s natural to have some hesitation about moving somewhere completely different. You might miss the beaches in California or the liveliness of New York City. The solution to this hesitation is simple: travel. Take a trip to Thailand or the Caribbean. 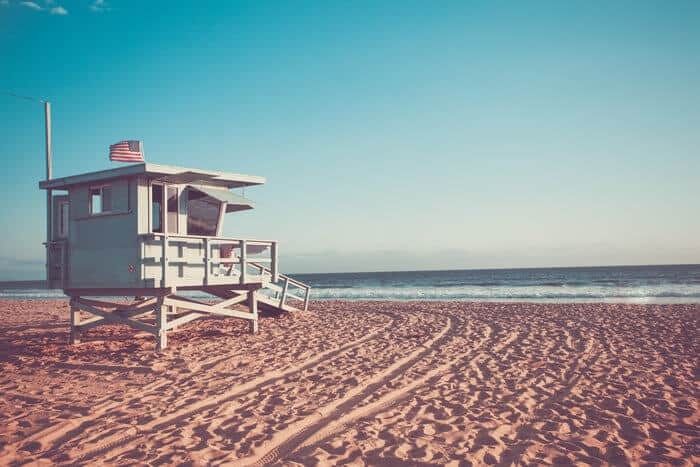 You’ll quickly find that the beaches in California aren’t that great, and you can live just as close to those superior beaches while paying a fraction of California’s cost of living. Head to Hong Kong or London. You’ll get the same bustling city atmosphere while paying substantially less in taxes. Would you be going where you’re treated best by hopping over to Nevada or Pennsylvania, or would you be treated best outside of the US? If you’re asking yourself that question and are ready to start taking next steps, I’m happy to help.